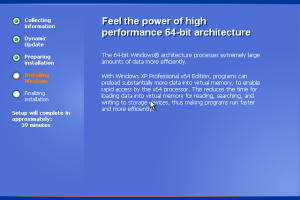 Bootable ISO file to setup the operating system"
The 64-bit version allows to use more than 2 GB RAM, so your operating system will load faster than 32-bit version. 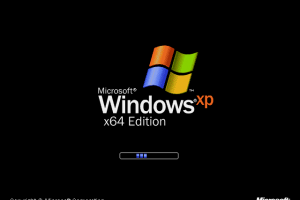 Windows XP is a popular and successful version released back in 2001. Since then, many other versions were created, but if you have a license for this old release, install it. 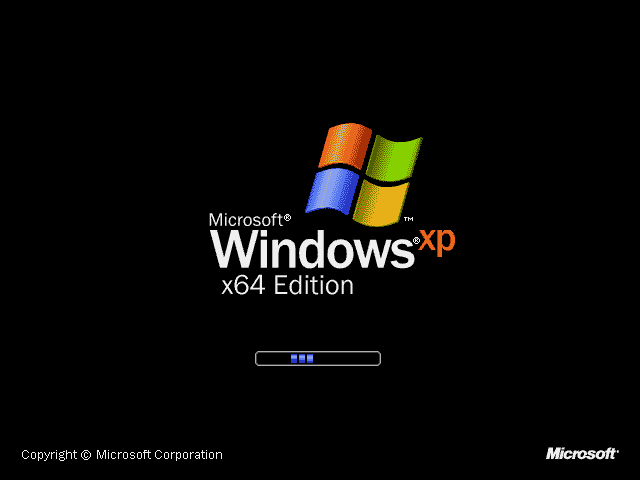 This version includes the SP2 Service Pack, the SP3 wasn’t released for XP. This is the official bootable ISO file, it is a direct download of the installation file. You will need a valid product key to be able to use this operating system. Probably you already have one, since this version is not available for sale anymore. It is part from operating systems category and is licensed as shareware for Windows 32-bit and 64-bit platform and can be used as a free trial until the trial period will end. 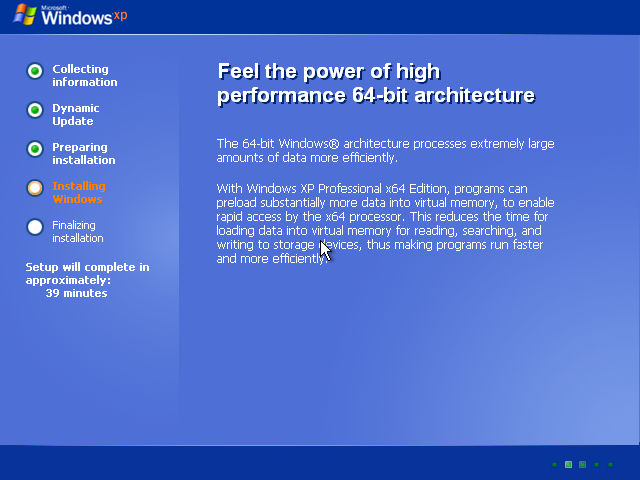 The Windows XP Professional 64 Bit (Official ISO Image) demo is available to all software users as a free download with potential restrictions compared with the full version.